Farmed Shrimp make up over 90% of the shrimp consumed In North America. Once primarily a wild-caught delicacy for the wealthy, shrimp cultivation began in Central and South America in the mid 1970’s. 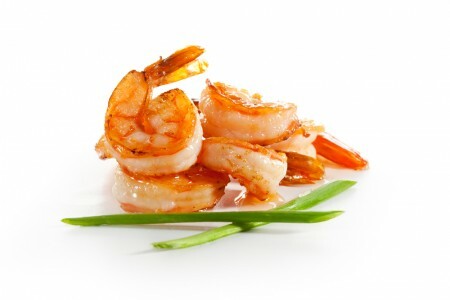 Shrimp are now one of the most consumed seafoods worldwide. The primary species cultivated are Pacific White Shrimp ( Panaeus Vannamei) and Black Tiger Shrimp (Panaeus Monodon). White shrimp can be distinguished from Black Tiger shrimp by the solid grey shells and lack of dark bands or striping that Black Tiger shrimp are identified by. As they can be farmed more efficiently, White shrimp are the more common and less expensive of the two species. They are also considered to be more flavorful. We ensure our shrimp is safely and responsibly produced shrimp by ASC certified ASC and Best Aquaculture Practices (BAP) certified farms and factories. 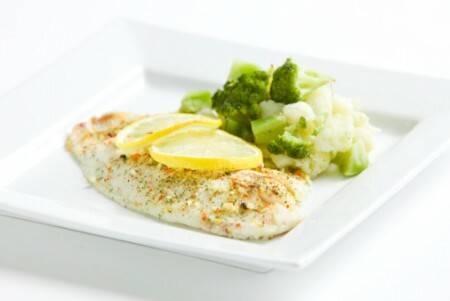 Tilapia is a popular, versatile firm textured white fish with a mild flavor. The world’s production of Tilapia is mainly accounted for by two species – Nile Tilapia and Mozambique Tilapia; aptly named for the region from which they originated. Although the species itself has its origins in Africa, today many countries in Asia and South America farm the species. Tilapia are omnivorous, and as such can be fed a virtually vegetarian diet. As a result, its farming does not stress wild stocks. Our Tilapia is of the highest quality and farmed in the most sustainably conditions according to BAP and ASC certification standards – ensuring a clean product that has no negative environmental implications. Link to ASC Tilapia Standards. This freshwater species originates in the Mekong Delta of Vietnam. 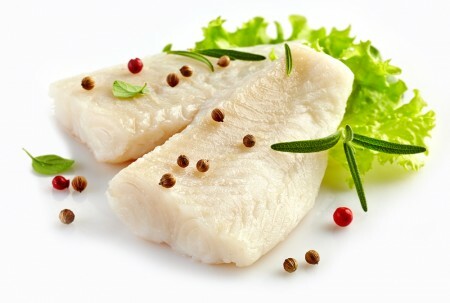 Known by several names, Basa, Vietnamese Catfish, Swai, Pangasius, River Cobbler, to name a few, Basa are primarly marketed from two main species – Pangasius Boucourti, and Pangasius Hypothalmus. Due to its hardiness, Pangasius Hypothalmus is the primary basa species marketed. Owing to its firm texture, mild white meat, and inexpensive cost, Basa/Swai has had a very impressive growth in the United States, Canada, and Europe. It is now in the top 10 of most consumed seafoods. Our Basa is certified by the Aquaculture Stewardship Council, which provides strict criteria on water quality, land and environment, waste, and therapeutant use. Our customers can be assured that our product is clean, safe, and responsibly produced. Our company primarily deals with the Meretrix species of hard shell clam common throughout Asia but primarily in the coasts of Vietnam. Meretrix clams belong to the Venus family of saltwater clams. Meretrix Lyrata, or White clam can be quickly identified by its hard, glossy white shell with dark brown marking on the hinge. These clams are not produced by aquaculture in the purest sense in as much as the baby clams are actually ranched, then cared for in coastal environment prior to harvest. The management of the fishery in this way, makes them not only sustainable, but very environmentally friendly. The Vietnamese hard shell clams are harvested by hand, and thus do not pose a threat to the ocean environment or other species. 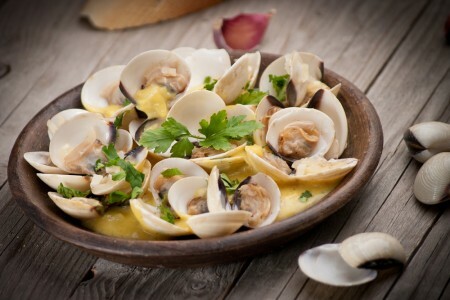 These clams are exceptionally sweet and tender, and virtually grit free.